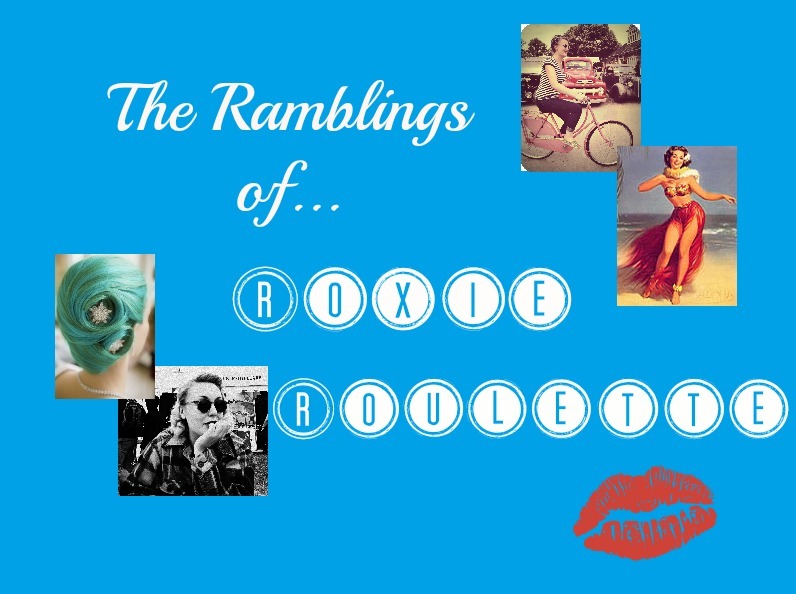 The Ramblings of Roxie Roulette: Ananas & Palm Trees. I had a spare hour or so this week in between lots of reading, writing and tiki business to go shopping. I'd been informed by some people over on Facebook that Topshop had some great tiki stuff in. Well, that was excuse enough for me! My work wardrobe needed a bit of spruce up anyway, and topped off with the lovely spring weather that has finally arrived, it was off to town I went! First off I spotted this pineapple design dress in their beachware section. I think it's supposed to be a beach dress you wear over a swimsuit, but it works fine as a regular dress too - if a little short! I was most surprised by a) the price (a mere £25!) and b) the size (usually I am at least a medium in Topshop, sometimes reaching over into the large spectrum). I went off to the changing room with a medium and a large but had to ask the assistant for a small! I can't deny that it didn't feel good! It is pretty much backless, and I'm sure with the right bikini top it'll look fab, but for now I've just teamed it with a bandeau top from New Look. Secondly I found this dress with a cut out midriff. I expected to be a 14 because Topshop busts in a 12 are usually too small for me, but alas the 14 was too big and so I tried the 12. Perfect! I love the design of Polynesian beach houses and palm trees, and the colouring is bright enough for work but not too garish to wear elsewhere! This one was slightly more expensive, but within the regular range of Topshop dresses, at £36. The amount of wear I'll get out of it though makes it completely worth that extra £11! Have you found an tiki treats out there this spring? Me likey!! I didn't even see the first outfit but it looks fabulous!